At first glance, the title of this blog post may seem like a simple question. 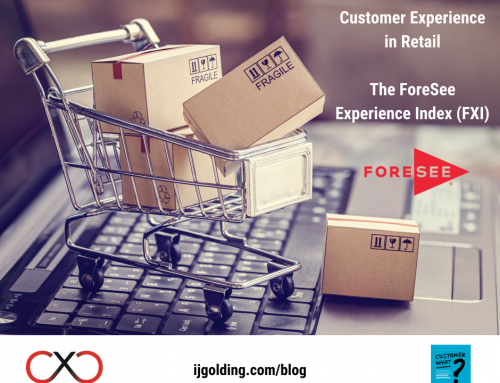 In fact, the order of the three key ‘stakeholders’ responsible for delivering customer experiences naturally exploded from the keyboard in the order that you see them. Does that mean that ‘Customer 1st’ is the right answer? If it is, this could be my shortest ever post! As you may well agree, the answer is in fact not that simple, and hence I believe it requires some exploration. Lets us start with the good old customer. The group of people who in commercial organisations ‘pay our wages’. Without our customers, we would not have a business – so surely the answer to the question is obvious after all. Businesses must put Customers before anyone or anything else. Even in non commercial entities, the organisation would not exist without the recipients of the services they provide – there would be no need for them to exist otherwise. Putting any ‘stakeholder’ first means that the organisation must act in a way that the chosen stakeholder is put ‘at the heart of everything it does’ – every decision that is made is done so considering the effect on that stakeholder before anyone else. For a business to put the customer 1st, it must demonstrate this – I do not know of many businesses where this is genuinely the case. Do you know of any businesses that genuinely and honestly ‘put the customer 1st’ – before anyone else? I used to work for an organisation that for a long time ‘branded’ it’s approach to customer experience ‘customer 1st’. For a while that felt right. However, despite the fact that we were transforming the way we thought about customers; treated customers; delivered experiences to customers; we were not making decisions THINKING about customers before anyone else. 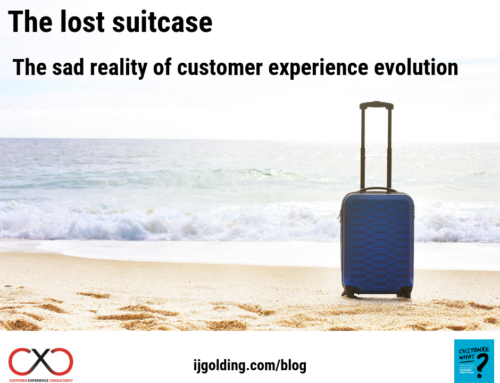 What we needed was for ‘customers’ to be part of the conversation – They were not on day one – they were very much ‘last’ – but is it right for customers to come first? Let us consider the case for ‘colleagues’. Less personal organisations refer to the hard-working people who deliver experiences to customers as ’employees’. By the same token that an organisation would not exist without customers, it is also true to say that it would be rather difficult without people to serve them. I have always believed that colleagues are the most important asset for any organisation. However advanced technology becomes, or mechanistic processes evolve, we will always need people to deliver customer experiences. Let us consider this question – if you put your customers 1st, are you at risk of your colleagues not being fully engaged with your business and brand(s)? 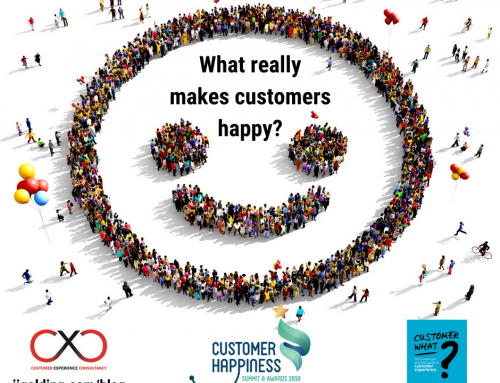 Are you at risk of your customers loving what you do more than your own colleagues? If your customer is being served by a colleague who is less engaged with the brand than them, is that a good thing? This is why I know of many organisations who believe in the ‘Colleague 1st’ principle. They believe that if you put your own people first, then the customer experience will look after itself. Before you decide what you think the answer to the big question is, let us look at the third key stakeholder – the shareholder. This is the group of people the colleague ‘loves to hate’. Maybe not just the colleague – over the last few years, the consumer has increasingly become frustrated by the perceived greed of shareholders putting their interests before anyone else. Indeed I have been involved in organisations where it seems that the only voice that is being heard is the one that is only concerned with the spread sheets – the top and bottom line. Profit, profit, profit. Cost, cost, cost. The words often associated with shareholders – but is it wrong for the group of people responsible for funding, investing in and directing an organisation to focus on the important numbers? I must admit, I find this the most difficult of the three corners to fight for. A shareholder would argue – in much the same way customers or colleagues would – that it is only right that the interests of shareholders comes before anyone else. The shareholder enables a business to exist – they invest in improving, growing and sustaining a business. Without shareholders, many organisations may not be financially viable. The risks and pressures associated with shareholdings should be rewarded by having the loudest voice. So it is decision time – Customer, Colleague or Shareholder – which one do you think your business should put first? If you want my opinion (which you may not! ), I am about to do something I do not often do – sit on the fence!! Whilst it may be easy to completely dismiss Shareholders in favour of either Customers of Colleagues, I actually believe that it is important for all three stakeholder groups to be at the ‘top table’. I strongly believe that all three voices must be heard in equal measure for an organisation to be successful – and for an organisation to stand the best chance of delivering brilliant customer experiences by highly engaged colleagues supported by enthusiastic and rewarded shareholders. A concern for any organisation should be when one voice becomes significantly louder than any other – or if one or more voice is not heard at all. Organisations need to understand that when a decision is made, the impact on all three stakeholder groups MUST be considered – openly and honestly. All three stakeholder groups must be represented equally around the board table, and the consequences on each of them carefully considered by the decision makers. If Customers, Colleagues and Shareholders can live in harmony together, our businesses stand a fantastic chance of existing for ever! What do you think – I would love to hear your point of view. For me….colleagues first as a properly engaged team, with clear direction will deliver a great customer experience…..with shareholders ultimately benefiting. Anything else, could be seen as transparent or drive the wrong behaviours. All very closely linked though! Many thanks for sharing your thoughts Graham – and very good thoughts they are too! Your points are, as always, well made and the reason that this is sometimes a difficult decision is that all businesses are at different stages of customer experience maturity and consequently one or other of the troika may need more focus, effort TLC etc. However, on the assumption that a business starts out with, or has a fundamentally good product, provides value for money and there is a strong customer demand, then I’ll always be in the colleague camp. I know this sounds obvious, but as we both found out in our UK train experiences, these things don’t always come together at the same place and at the same time. And while there is no disputing the argument that says no customers – no business, I’d suggest that there is an equally strong one that says there is no customer experience without colleague experience. And treating colleagues/employees with respect and equanimity is the necessary starting point in customer engagement as companies such as John Lewis, Metro Bank, Zappos and Four Seasons have demonstrated very successfully and profitably for many years. For companies that have lost their way on the customer experience journey or are still on the slip road, they must look at fundamental principles, human values and the emotional connection that engaged colleagues can make with their customers, because without that they really are nothing, or will be soon. I like Gerry’s comment a lot! Everyone is faced with the challenge of prioritizing investment in customer experience, employee experience, or focusing on shareholder value! However, when you are serious about your corporate values, the rest will become a part of your vision as opposed to a competing factor. And employees are most likely to be very high in the food chain of your values. Employees no longer want to bridge the gap between promises made and experiences delivered – they want to close that gap. Instead of prioritizing, make it all come together. This way, the cutting edge of customer experience becomes employee experience – and vice versa. The trends, beliefs and needs that new, talented team members bring into your company fuel the rocket to stellar customer experience. 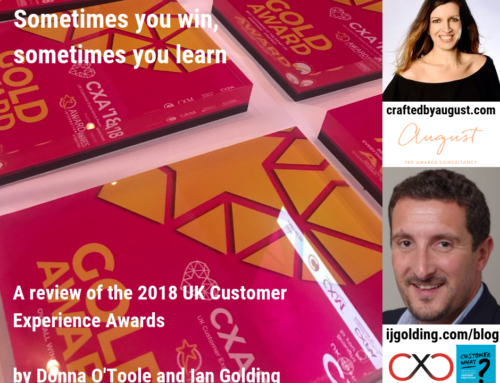 So, in summary my opinion is, that to make sure you’re in the pole position to have customers love you, employees follow you and sound values drive you, you must manage CX, EX and your values as one and not as three different things. And yes, this should – in my eyes – include organisational changes where appropriate. It is never too late to comment Stefan – especially when it is of such high quality! Many thanks for sharing your considerable expertise.